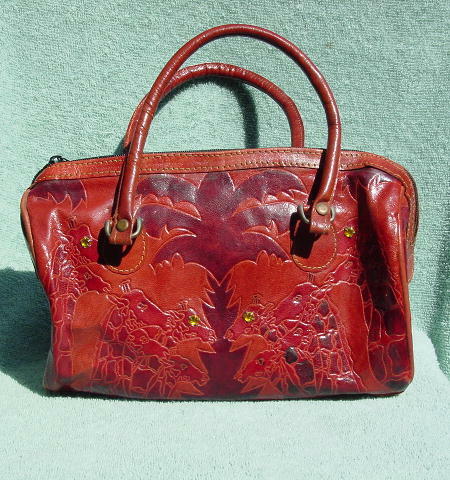 This genuine leather burgundy and reddish brown doctor's bag was made in India. It has giraffes and palm trees on the front and back, and palm leaves on the sides. 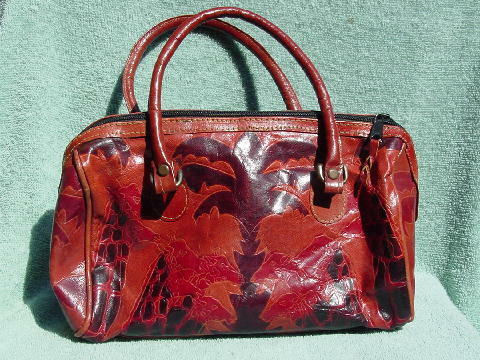 It has two 16" leather handles and a top zipper opening. Four of the giraffes on the front have yellow rhinestone eyes. The interior is lined in black fabric and there is a zippered interior pocket. A model called it her Dr. Doolittle bag.